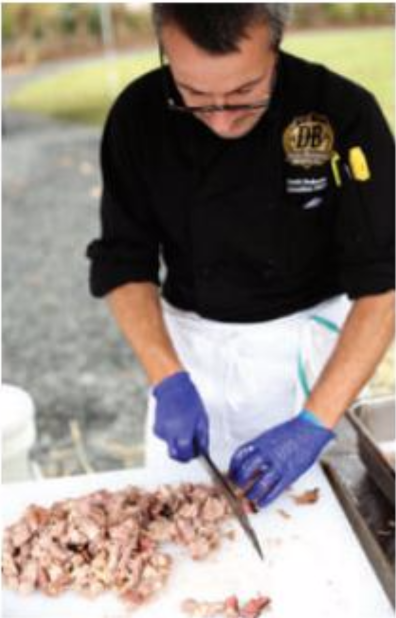 "When you try this pork, you can tell," said Chef Frank Debons, the executive chef at Devils Backbone Brewing Company, which recently hosted a pig roast at its inaugural Hoopla Festival. "It's a totally different taste. It's way, way better."